Tired from our Honda Bay Island Hopping, we were excited to arrive at Kim's Hot Spring Resort & Restaurant. It is easy to find since it is just along the road. It doesn't look much from the outside so we were surprised see how enormous the place is from the inside. We had to pass their huge cottage-like restaurant. It was so large that it can hold banquets and events. I actually regret not having dinner there. I bet they serve delicious authentic Korean dishes. From the restaurant, we followed the pathway towards a villa. 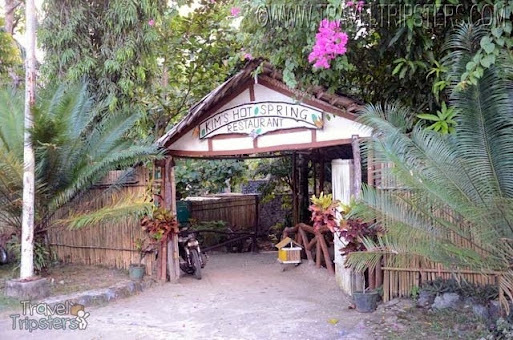 You can rent a cottage and make use of the common hot spring pool. The pool was very large for the two of us. Upon dipping in, we were asked if the temperature of the water was okay for us. We said yes. After quite sometime, we felt it was too hot (since we also.had fresh sunburns) so we called the staff to have it adjusted. And, eventually we felt the water being a bit cooler which is what we wanted it. They don't seem strict with the time but we timed ourselves to avoid extra charges. The time was actually more than adequate as we couldn't.dip longer without feeling light-headed. We then settled our dues and the staff asked if we wanted to view their rooms. We were curious so we agreed. 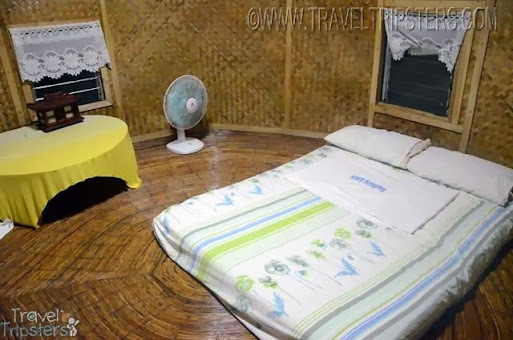 The term room is misleading because you're actually renting a huge two-story air-conditioned (1,500 per night) or fanned (750 php per night) place. There are two types of room showed to us. Both are offered for the same rate a night. But, the interiors vary. For the native type of room, the first floor has a cold and hot spring private stone tub which you can use during your entire stay. We thought that alone is a great bargaining factor. There's a table and chair too. There's a stair leading to the second floor to the bedroom with queen-sized bed. The Modern Room doesn't is only a single floor area with the queen-sized bedroom. 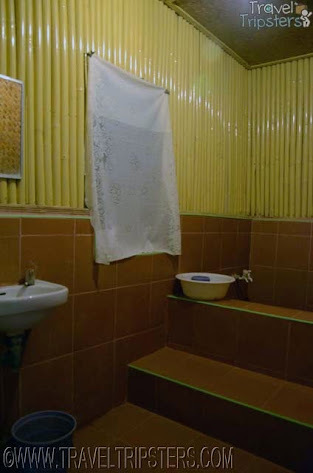 And, then a modern-tiled bathroom with cold and hot spring tub. Yes, the water source of your tub is spring water and you have two faucets: 1 cold and 1 hot so you can control the temperature of your bath. 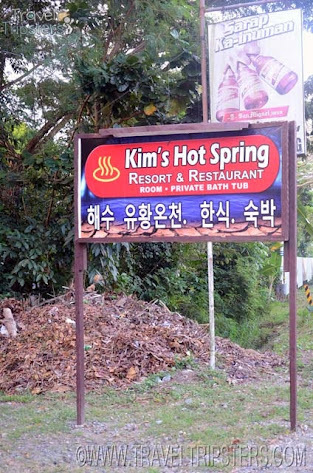 Overall, we Travel Tripsters loved our private tub session as Kim's Hot Spring Resort & Restaurant. 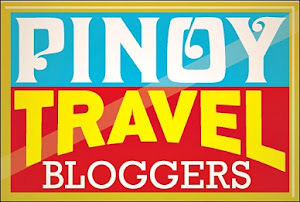 We'll definitely consider staying here if ever we'll be back at Puerto Princesa.